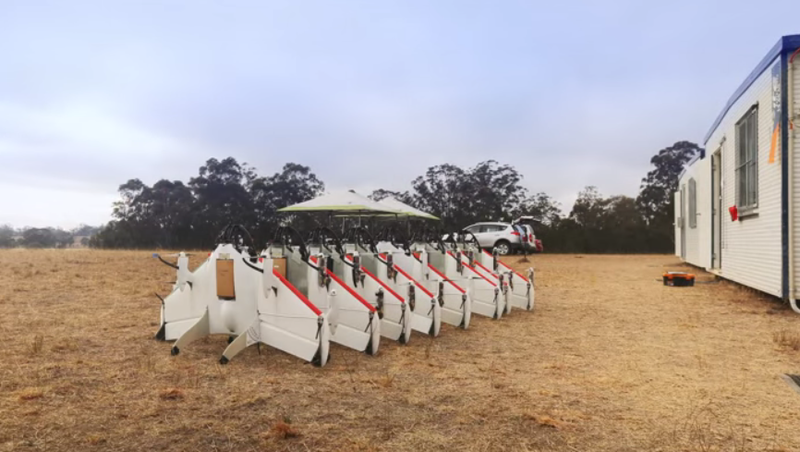 Google’s Project Wing seemed very far from reality when it started getting attention while testing in Australia last year. But now the project’s lead, David Voss, is saying the drone delivery service could be flying goods to people in the U.S. as early as 2017. According to Tech Times, Voss says that Google’s parent company, Alphabet, is working out the details with the Federal Aviation Administration. As of now, Tech Times writes, it sounds like the air traffic control system for the drone traffic would use existing cell network infrastructure to keep the drones in line while only reaching heights of 500 feet. Project Wing reportedly started applying for a FAA exemption in August, but at that point it was already testing in California. Those tests have been run inside NASA’s drone-flying authority, which has had the FAA’s blessing for a while now. If Google’s project gets the green light, it would join Amazon, Alibaba and others already testing out the drone delivery methods of their own.